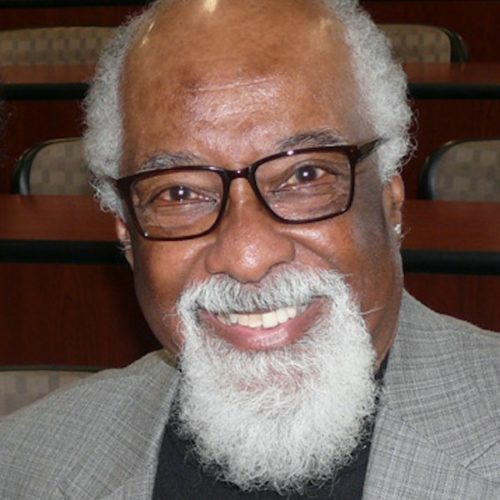 Irving L. Joyner has worked as a Professor at North Carolina Central University (NCCU) School of Law since 1982. From 1984 to 1992, Joyner served as the Associate Dean of NCCU School of Law. He regularly teaches courses in Criminal Law; Criminal Procedure; Civil Rights; Race and the Law; Professional Responsibility; and Trial Practice. As a member of the faculty, Professor Joyner serves on a number of Law School and University committees. Professor Joyner has written three editions of his book, Criminal Procedure in North Carolina which is published by LexisNexis Publishing Company. He regularly prepares annual supplements to that publication. The first edition was published in 1989, the second in 1999 and the third was published in 2006. Additionally, Professor Joyner has written a number of articles and manuscripts for continuing legal education programs. He speaks and lectures regularly at legal education, civil rights, political empowerment and educational advancement programs. Professor Joyner provides pro bono legal counsel to several political, religious and community organizations and to needy individuals in civil rights and criminal appeals cases. He serves on several State study commissions and agencies and in leadership roles with a variety of community groups and organizations. This service includes a five year term as the Vice-Chairperson of the 1898 Wilmington Race Riot Commission. He is also a regular legal commentator for local, state and national media primarily in the areas of law, politics, civil rights and racial justice. For the past ten years, he has co-hosted the highly acclaimed “Legal Eagle Review” which is dedicated to a discussion of current local and national legal issues and is heard each Saturday morning on WNCU 90.7 FM. In 2004, Professor Joyner was honored as the Lawyer of the Year by the George H. White Bar Association, an organization of African-American Lawyers in Durham County and is a past recipient of the Lawyer of the Year Award by the North Carolina Association of Black Lawyers. In 2006, he was honored by NCCU Law School students as Professor of the Year. Professor Joyner and his family are members of the Ebenezer Missionary Baptist Church in LaGrange, N.C., the church in which he was raised and now serves as legal counsel and advisor.